I chose this shot because it makes me happy. I love to shoot the stars but there is also something challenging about shooting a vibrant city in all its glory. Light pollution where I live makes shooting the stars and Milky Way very difficult. I wanted to show off my east coast roots. 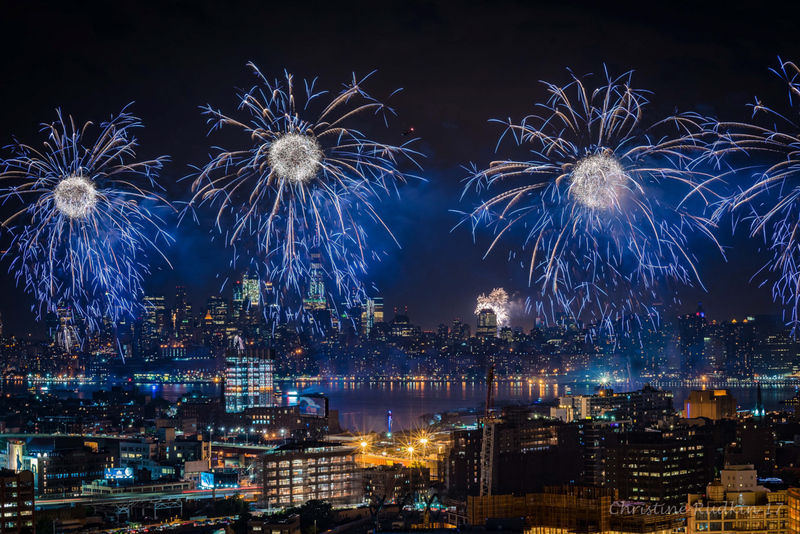 There is nothing more colorful and alive than the 4th of July fireworks in NYC. I took this shot from the top of my daughter’s building where she lives. See more of Christine’s work by visiting her website.